Bathhouse Ballads now has a monthly feature, specifically on bathhouses and bathhouse culture, in the magazine, Daegu Pockets. The first article was in the September edition with October’s hot off the press. 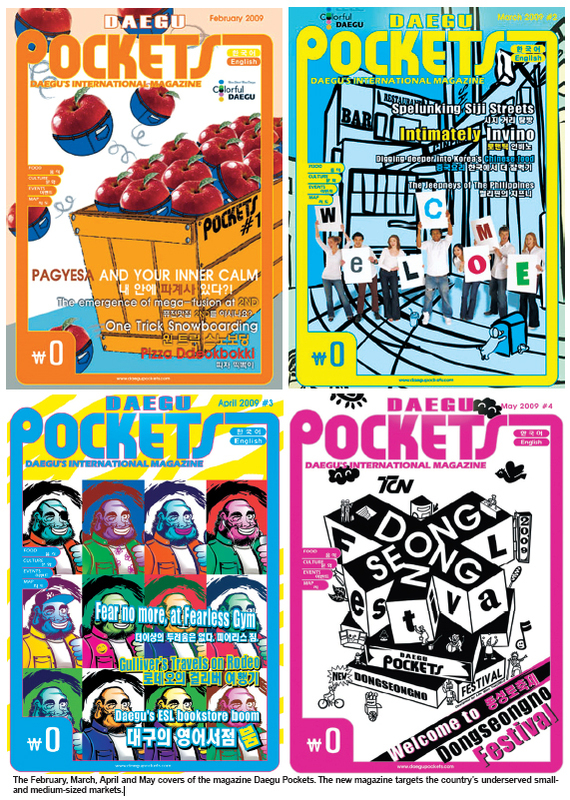 Daegu Pockets is an international magazine that is published online and conveniently sized – capable of fitting in your pocket alongside your hard-earned Won! Launched in 2009, the magazine has a number of full-time staff and team of dedicated Korean and expat volunteers all of whom work together to produce a useful bilingual resources for local Koreans and expats alike. The magazine is locally funded and edited by Craig White. More information on Daegu Pockets can be found at Galbijim. The magazine is also on Facebook. On a personal note, a great resource which is provides a range of information to suit many tastes – as a snob who likes opera, very refreshing!